1. 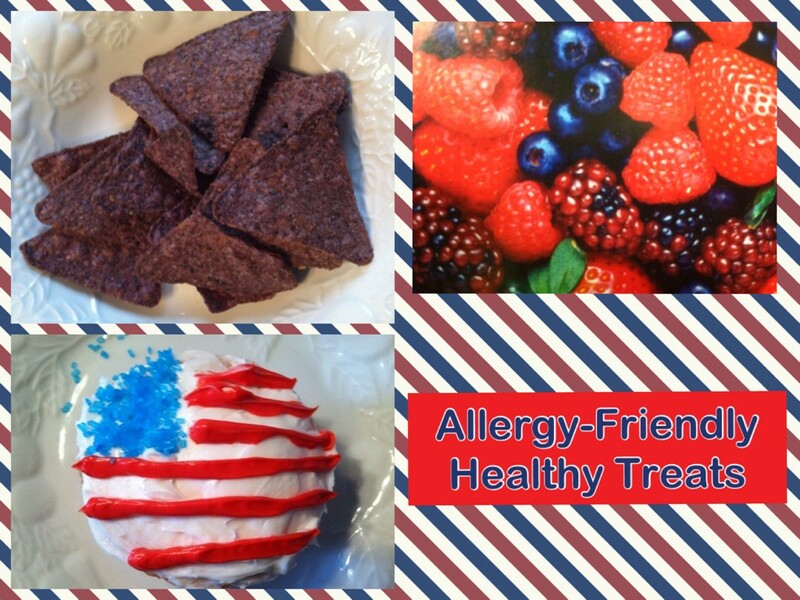 Flag Cupcakes – Free of gluten, dairy, eggs, and nuts. Made with King Arthur gluten free flour. Egg substitute: applesauce + baking powder. Dairy substitute: rice milk and Earth Balance soy and dairy free butter. Icing: rice milk + Earth Balance + confectioner’s sugar. Although not used here, a great all-natural food coloring is Color Kitchen real food colors, available on Amazon. 2. Blueberries – High in antioxidants that can cross through to the blood-brain barrier and they are believed to enhance cognitive performance and decrease inflammation. I like to envision information zipping through Jake’s nice and clear, non-inflamed brain pathways while he is eating blueberries. He used to hate them, but thank goodness, I think he may be outgrowing his picky eating. 3. Strawberries – According to the book, The Winner’s Brain, people should add 1/2 cup of berries to their daily diets to improve brain functioning. Studies have shown that strawberries may reduce cognitive decline in the elderly and they are also a great fighter of inflammation. Again, Jake used to hate strawberries, but if I cut them up into small pieces and put them with blueberries so that he can eat them with a spoon, he will cooperate. I have to buy organic strawberries, however, because he broke out in hives with the regular ones. 4. Organic Blue Corn Tortilla Chips – Tostitos or Garden of Eatin’. According to this month’s edition of Life Extension magazine, blue corn is “botanically identical to yellow corn, but its deep blue-purple color is the result of its rich anthocyanin content – with a concentration equal to, or greater than, the anthocyanin concentration of blueberries.” What are anthocyanins? They provide berries with their deep red and purple colors and are believed to protect against cognitive decline, diabetes, cancer, and heart disease. “The Winner’s Brain,” by Jeff Brown & Mark Fenske. Disclaimer: All data and information provided on this site is for informational purposes only. These statements have not been evaluated by the FDA. These products are not intended to diagnose, treat, cure, or prevent any disease or disorder. Awesome snacks, thanks for sharing! I learned recently that the reason some kids react to fruit, but not organically grown fruit is an allergic reaction to the pesticides used. Just an FYI in case you didn’t know the reason why.